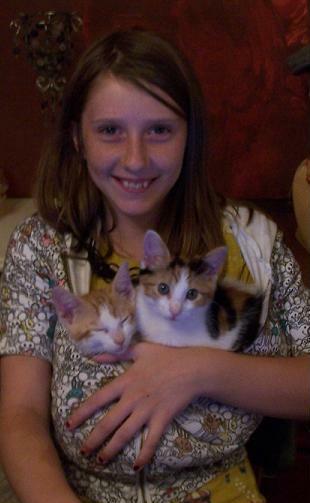 In 2008, my dear friend, Nikki, called me and told me she had a pile of kittens. She had gone out to visit her mother on Mother’s Day and in the barn were these wee just weeks old kittens. So, I went to go visit Nikki to see the kittens and brought Gwen with me. I told Gwen, under no circumstances are we going to come home with a kitten. We are just going to soak in the cuteness. Yep.. you know it, we ended up with not one but two. We named them Emerald (Eme) and Opie. 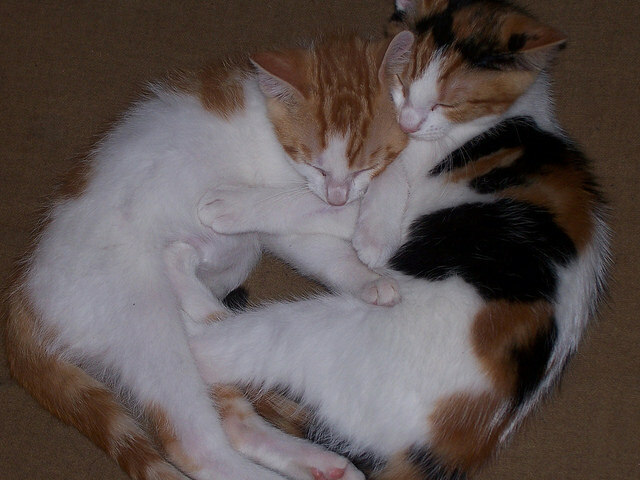 Eme and Opie were the most adorable kittens. They loved to sleep in bed with Gwen and Alex. They kept us laughing and giggling, chasing lasers or feet under blankets. 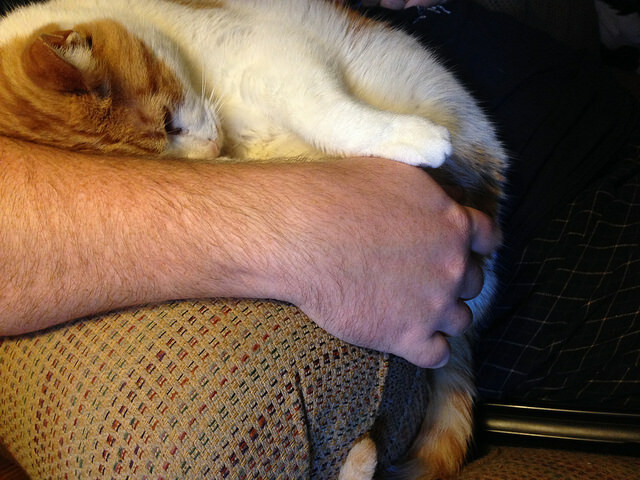 Opie, our ginger kitty, loves people. Eme loves Opie, food and sometimes people but only on her own terms. 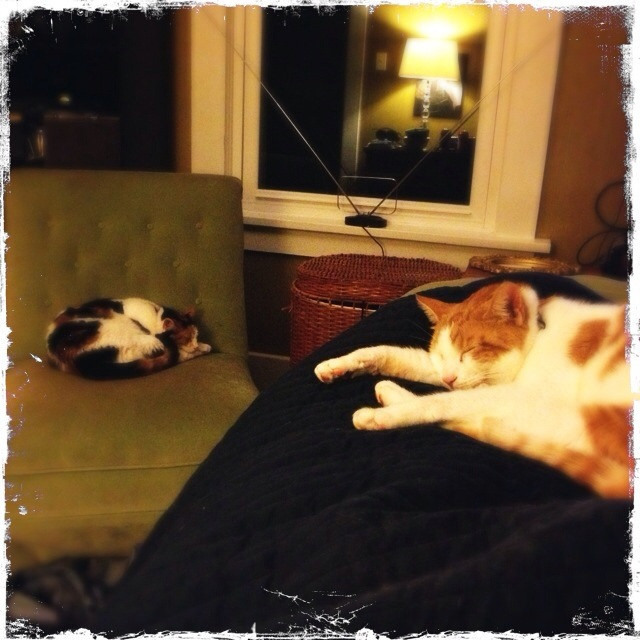 In 2011, the cats, my daughter and I moved in with Nathan. The cats adjusted nicely but the bird and rabbit population dwindled in our neighborhood. Opie LOVES Nathan. Opie was practically obsessed with trying to find a way to sleep bomb Nathan. 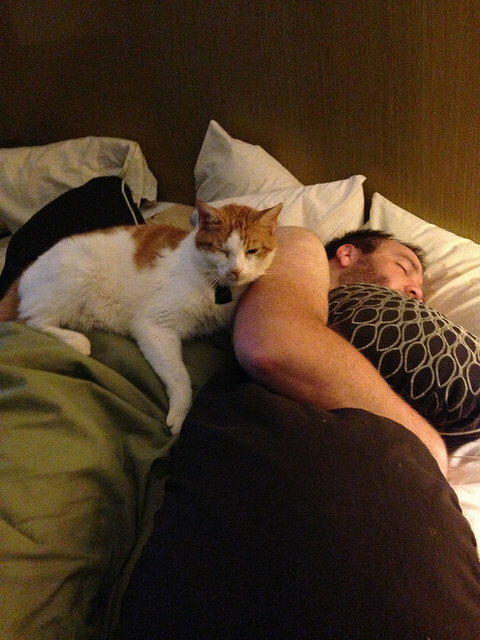 He would wait until the ideal sleep sound was happening and pow… curl up. It’s hilarious. 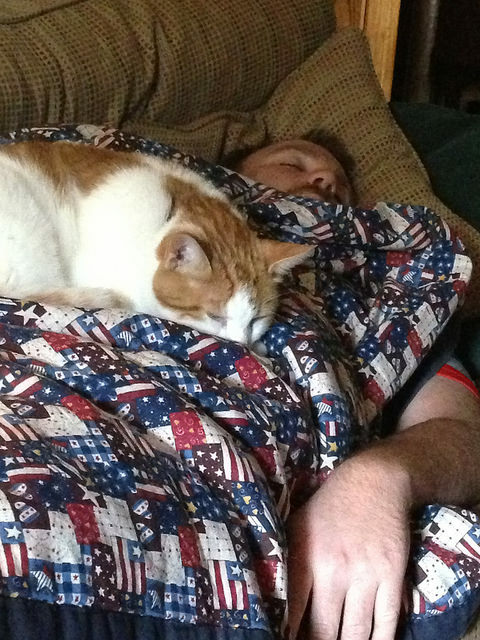 Yep, that cat is obsessed with my husband. We have really enjoyed having Opie and Eme around. They are certainly part of the family. Right after Nathan and I married In 2013, our house was broken into. So, we decided that our watch cats were just not into taking their job seriously. So, we decided along with other measures to adopt a big dog. I thought growing up that I was allergic of dogs, so I decided to take the poke-in-the-back-100-times allergy test just to be sure. It turns out that I am allergic of everything except dogs. 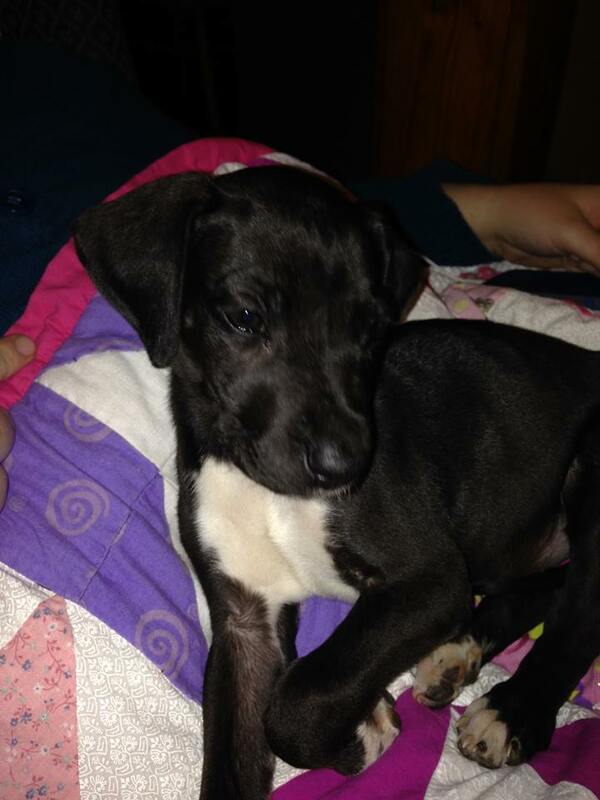 So, we started searching randomly the next day and came across a possible Great Dane puppy that a person was desperately needing to re-home and was about to dump at a shelter. We went to check it out and brought Magda home with us. Magda was a very sick puppy. There were times that I thought she wasn’t going to survive. The cat crew spent more of their time hiding. Nathan and I spent less of our time sleeping. 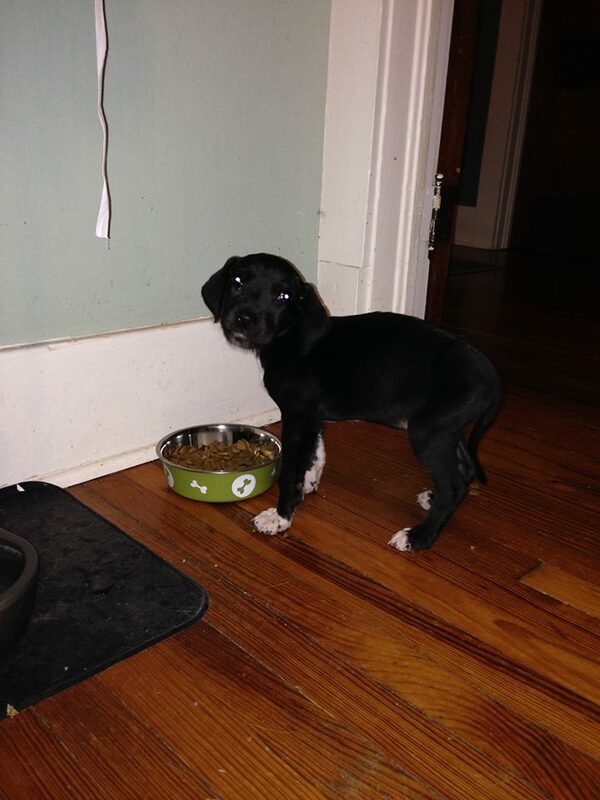 It took Opie a good month to come up with the courage to be curious. But, by that time Magda had doubled her weight. For about a year, we had a battle of overexcited larger dog desperately wanting to play with the cat crew. Opie and Eme stayed clear of the crazy puppy and life started to settle down again. 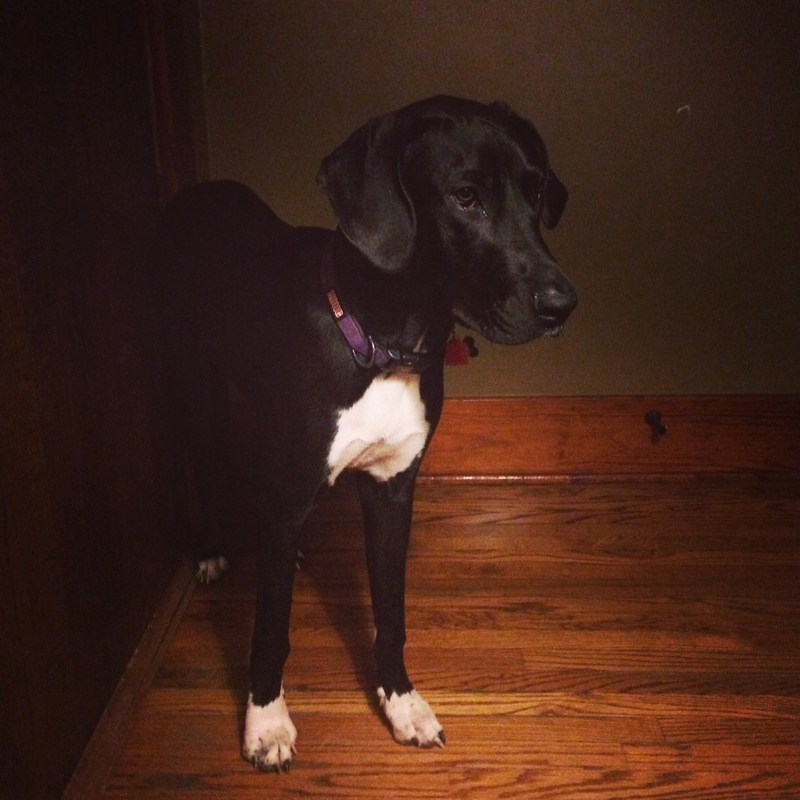 To give the cats some relief, we took Magda to Central Park Dog Daycare in Oklahoma City. It’s been wonderful because she tends to be fearful and shy in general but the ability to play with other dogs in a safe environment has helped to bring her out of her shell and be social. The cats have been SO grateful. They have the house to themselves a day or so a week. And, Magda is usually exhausted for a few days and less likely to cause kitty anxiety. 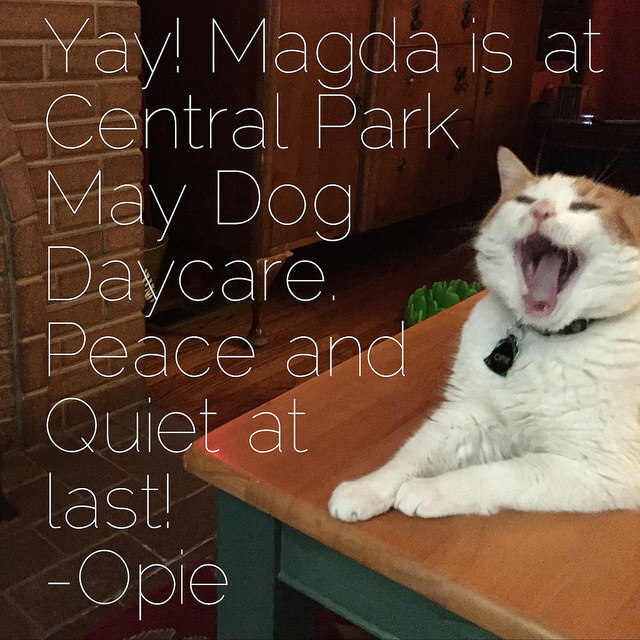 Magda and Opie have an understanding. 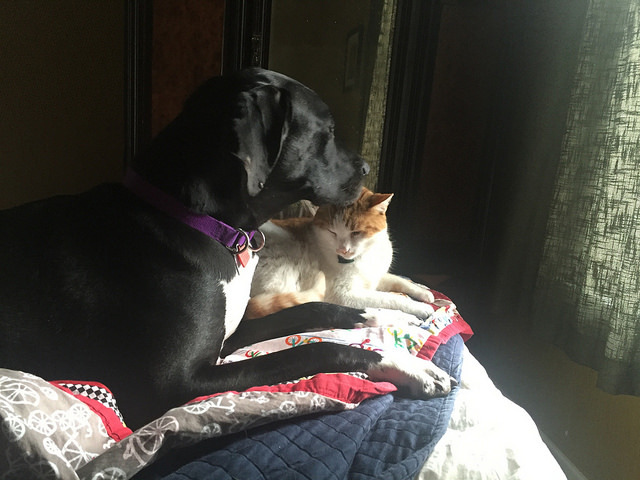 As long as Magda is gentle with Opie, Opie will put up with just about anything. Once Magda wants to play and gets rough, Opie shuts her down. So, we will generally find a more calm cuddle session after some prodding. We look forward to taking Magda on the road and exploring all sorts of places. We are still trying to socialize her around people. She can be a tiny bit shy but overall she has been a fantastic companion to welcome into the family. I don’t know how well an 8 year old cat would do with leash training and living on the road cooped up in a 200 square foot space with two humans and a 90 pound dog. Especially, since they have had free reign over their surroundings.